Is Donald Trump the New Joe McCarthy? There seems to be nothing Donald Trump will not say. Or at least imply. Take for example his recent comment that evangelicals should not trust Ted Cruz because his father is from Cuba, and Cubans are mostly Catholic. He didn’t say Mr. Cruz wasn’t an evangelical, he just inferred that Mr. Cruz must not be, due to his origins. That Mr. Cruz’s father is a “born again Christian” and Bible-belt evangelical minister is simply ignored, regardless of its relevance. Or, take for example the notion that Mr. Cruz is not eligible to be President because he was born in Canada, even though his mother is an American citizen. Mr. Trump doesn’t say Mr. Cruz isn’t a natural born citizen, he just implies that possibly he is not and therefore he may not be a legitimate candidate. Maybe Mr. Cruz really isn’t the American he claims to be? Or, implying all Muslims are bad, because some followers of Islam have implemented bad acts. Mr. Trump has denounced all Muslims, and would deny all Muslims entry into the USA, because of the actions of a few. After all, why not? If you can’t tell the good from the bad, why not condemn them all? If he were doing the same to Jewish believers we would call Mr. Trump’s language antisemitic. Could you imagine denying all Jews entry into the USA – for any reason? These are just a few of the outrageous things Mr. Trump has said, and yet he has people who think he is an admirable business leader suitable to be a political leader. Recently a good friend of mine was quite eloquent in her praise for how well Mr. Trump “plays the media like a church organ.” Even if she didn’t like some of his messages, she thought it admirable how he obtains media attention, and keeps it focused on himself, and lures people into listening to him. Which takes me to my opening quote. Mr. Trump is great at practicing McCarthyism – and yet nobody seems to care. And if we don’t do something, we may repeat a part of history that was a very black eye. Senator Joe McCarthy was a conservative Senator from Wisconsin in the early 1950s. To achieve fame and glory, he famously developed a great skill for feeding the news media bits of information that would bring attention to himself. Senator McCarthy excelled at building on the public’s FUD – Fears, Uncertainties and Doubts. At the time, Americans were terribly afraid of communists, fearful they would ruin the U.S. social order and make the country into the next Soviet Union. So Senator McCarthy conveniently blamed all social ills on communist infiltrators – people working in government jobs who were set on destroying the country. He then would accuse those he didn’t like of being communists. Or, if that accusation was proven baseless, he would accuse those he saw as political opponents of sympathizing with communists – claims that amounted to “you are guilty unless you can prove yourself innocent.” He didn’t have to prove someone was bad, just that they might look bad, sound bad or know someone who was possibly bad. 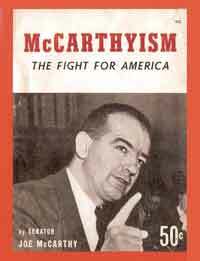 Mr. McCarthy was fantastic at feeding great lines to the media – newspapers, radio and TV. He would seek out reporters and say outrageous comments, which were so outrageous that the media felt compelled to report them. And the more outrageous Senator McCarthy was, the more media attention he acquired. And the more attention he had, the more he used false attacks, innuendos and statements that pandered to the FUD of many Americans. Eventually, Senator McCarthy was exposed as the blowhard that he truly was. Full of innuendo and attack, but lacking in any real policy skills or ability to govern. The word “McCarthyism” was born to “describe reckless, unsubstantiated accusations, as well as demagogic attacks on the character or patriotism of political adversaries.” (Wikipedia) Famous broadcaster Edward R. Murrow eventually exposed the baselessness of Senator McCarthy, leading to his Senatorial censure and media decline. Few have ever demonstrated the skills of McCarthyism better than Mr. Trump. Feeding the public FUD, Mr. Trump doesn’t say President Obama is a Muslim – but he accepts the notion from an audience member’s shout out at a public rally. Just like McCarthy called members of the State Department “sympathizers” as he tried to ruin their careers, Mr. Trump says that the investigation of Benghazi implies that former Secretary of State Clinton did something wrong – even though the investigation results were that there was no wrong-doing by the Secretary or her staff. The “investigation” is held out as evidence, when it is nothing more than an inference. And attacks on whole groups of people, like Muslims, is the definition of demagoguery. Mr. Trump may be good at media management, but that is not to be admired. Being good at a skill is admirable only if that skill is used for good. We admire magicians for slight-of-hand, but not pickpockets. We admire forest rangers for skillful use of burns, but not arsonists. We admire locksmiths for knowing how locks work, but not thieves. We admire artists for great brushwork, but not forgers. We admire hard working business people for their skills, but not skillful lawbreakers like Skillling of Enron, Ebbers of Worldcom or investment advisor Bernie Madoff. Mr. Trump clearly knows how to identify the Fear, Uncertainty and Doubts that plague many Americans. And he is quick with a phrase to make people even more fearful, uncertain and doubtful. And he is well spoken enough to know how to obtain the attention of all media outlets, plus clever enough to know how to appeal to their need for quotes and images to meet the daily news cycle. But, he does all of this as the heir apparent to demagogue Senator “Tailgunner Joe” McCarthy. Mr. Trump is not a to be admired, he is not a leader, he is a demagogue. And shame on us for letting him repeat a part history we surely regret. “As goes GM, so goes the Nation” is attributed to Charles Wilson, CEO of GM, in Congressional hearings 1953. His viewpoint was that GM was so big, and so important, that the country’s economic fortunes were inherently dependent on a robust General Motors. And this was not so far fetched in the Industrial era. 1940s-1960s America was a manufacturing king. Following WWII industrial products dominated the economy, and post-war U.S. manufacturers made products sold around the world as other economies rebuilt and recovered, or just started emerging. With manufacturing the jobs and economic value creator, and GM the largest manufacturer and non-government employer of its time, what was good for GM was generally good for America. But that tie has clearly broken. GM filed bankruptcy in the summer of 2009. From 2007 to 2009 American employment fell from 121.5M to just over 110M. Last month jobs rose by 271,000, pushing employment to a fully recovered 122M jobs. However, GM and its manufacturing partners have struggled to recover, as this economic expansion has largely left them behind. We’ve seen a wild shift in the country’s economic base. In 1900 America was an agrarian economy. Over half the population lived on farms. Fully 9 out of 10 working people had a job related to agriculture and food production. But automation changed this dramatically. By 2010, fewer than 1 in 100 people worked in farming or agriculture. Farm incomes are at a 9 year low, and the future direction is downward. Rural towns have disappeared as people moved to cities, concentrating over half the nation’s wealth in just its 20 largest cities. WWII marked the shift from an agrarian to an industrial economy for America. It was the industrial economy that pulled America out of the1930s Great Depression. The industrial revolution ushered in all kinds of mechanical automation, and it was applied to doing everything as labor shortages forced innovation to meet rising defense challenges. And it was the industrial economy that pushed America to the top. It was the industrial economy which trained most of today’s business leaders. But we’re no longer an industrial economy. Just as the agrarian economy vanished, so too is the manufacturing economy. Manufacturing jobs have been declining since 1970, and by 2010 they represent only 13% of workers and 15% of the country’s GDP (Gross Domestic Product). Today the 3 most valuable companies in America are Apple, Google and Microsoft. Number 6 is Facebook. Their value (and in the case of Apple, Google and Facebook rather rapid value explosion) has been due to understanding how to maximize the value of information. They don’t so much “make things” as they make life better through products which are purely ethereal – rather than something tangible. Today’s #1 valued retailer is Amazon, now worth more than Wal-mart. Amazon is largely a technology company, building its revenues by knowing more about the customer and what she wants, then matching that with the right products. All in a virtual shopping arena. No stores, salespeople and often no inventory needed. Its technology skills became so good the company has become the #1 provider of cloud services. The ramifications of this are dramatic. Working class middle age white people are dying faster than any other demographic in America. Their death rates are up 22%, and continuing to increase precipitously. Cause: suicide, drugs and alcohol. This is the group that once found good paying jobs working machines in manufacturing. 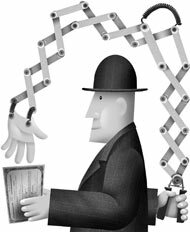 Now, untrained for the information era, they are unable to find work – even though demand for trained labor is outstripping supply. Today’s growth companies, those powering the American economic engine, are filled with intellectual assets rather than physical assets. Apple, Google and Facebook (et.al.) are creating intellectual capital, and they need employees able to add to that capital base. it is not enough for job candidates to have a college degree any longer. 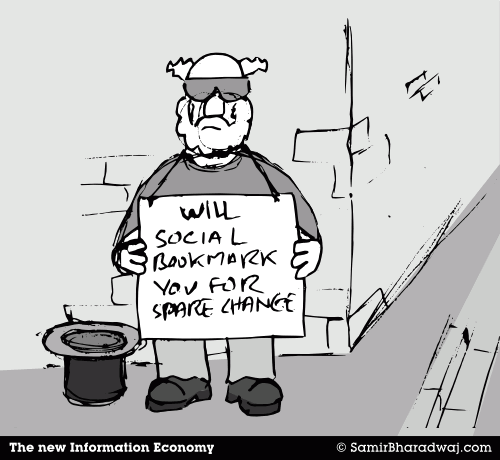 Today’s job hunter has to be information savvy, digital savvy, tech savvy. In the 1960s the gap widened dramatically between those in manufacturing and those in farming. By the 1970s farms were closing by the hundreds as value shifted out of agrarian production to industrial production. It was devastating to farm communities and farm families. Today the gap is widening between those skilled in manufacturing or general knowledge and those with information-based skills. The former are seeing their dreams slip away, while the latter are making incomes at a young age that are hard to fathom. Cities like Detroit are crumbling, while San Francisco cannot supply enough housing for its workers. The shift to an information economy is fully in force, and change is accelerating. For those who make the shift much is to be gained, for those who do not there is much to lose. Most analysts, and especially “chartists,” put a lot of emphasis on earnings per share (EPS) and stock price movements when determining whether to buy a stock. Unfortunately, these are not good predictors of company performance, and investors should beware. Most analysts are focused on short-term, meaning quarter-to-quarter, performance. Their idea of long-term is looking back 1 year, comparing this quarter to same quarter last year. As a result, they fixate on how EPS has done, and will talk about whether improvements in EPS will cause the “multiple” (meaning stock price divided by EPS) will “expand.” They forecast stock price based upon future EPS times the industry multiple. If EPS is growing, they expect the stock to trade at the industry multple, or possibly somewhat better. Grow EPS, hope to grow the multiple, and project a higher valuation. Analysts will also discuss the “momentum” (meaning direction and volume) of a stock. They look at charts, usually less than one year, and if price is going up they will say the momentum is good for a higher price. They determine the “strength of momentum” by looking at trading volume. Movements up or down on high volume are considered more meaningful than on low volume. But, unfortunately, these indicators are purely short-term, and are easily manipulated so that they do not reflect the actual performance of the company. At any given time, a CEO can decide to sell assets and use that cash to buy shares. For example, McDonald’s sold Chipotle and Boston Market. Then leadership took a big chunk of that money and repurchased company shares. That meant McDonalds took its two fastest growing, and highest value, assets and sold them for short-term cash. They traded growth for cash. Then leadership spent that cash to buy shares, rather than invest in in another growth vehicle. Company leadership says its shares are undervalued, so to help out shareholders it will “return the money to shareholders via a share repurchase” (note, it is not giving money to shareholders, just buying shares. $1,000 buys 100 shares. The number of shares outstanding now falls to 900. Earnings are still $1,000 (flat, no gain,) but dividing $1,000 by 900 now creates an EPS of $1.11 – a greater than 10% gain! Using the same industry multiple, the analysts now say the stock is worth $1.11 x 10 = $11.10! Even though the company is smaller, and has weaker growth prospects, somehow this “refocusing” of the company on its “core” business and cutting extraneous noise (and growth opportunities) has led to a price increase. Worse, the company hires a very good investment banker to manage this share repurchase. The investment banker watches stock buys and sells, and any time he sees the stock starting to soften he jumps in and buys some shares, so that momentum remains strong. As time goes by, and the repurchase program is not completed, selectively he will make large purchases on light trading days, thus adding to the stock’s price momentum. The analysts look at these momentum indicators, now driven by the share repurchase program, and deem the momentum to be strong. “Investors love the stock” the analysts say (even though the marginal investors making the momentum strong are really company management) and start recommending to investors they should anticipate this company achieving a multiple of 11 based on earnings and stock momentum. The price now goes to $1.11 x 11 = $12.21. Yet the underlying company is no stronger. In fact one could make the case it is weaker. But, due to the higher EPS, better multiple and higher share price the CEO and her team are rewarded with outsized multi-million dollar bonuses. But, companies the last several years did not even have to sell assets to undertake this kind of manipulation. They could just spend cash from earnings. Earnings have been at record highs, and growing, for several years. Yet most company leaders have not reinvested those earnings in plant, equipment or even people to drive further growth. Instead they have built huge cash hoards, and then spent that cash on share buybacks – creating the EPS/Multiple expansion – and higher valuations – described above. This has been so successful that in the last quarter untethered corporations have spent $238B on buybacks, while earning only $228B. The short-term benefits are like corporate crack, and companies are spending all the money they have on buybacks rather than reinvesting in growth. Where does the extra money originate? Many companies have borrowed money to undertake buybacks. Corporate interest rates have been at generational (if not multi-generational) lows for several years. Interest rates were kept low by the Federal Reserve hoping to spur borrowing and reinvestment in new products, plant, etc to drive economic growth, more jobs and higher wages. The goal was to encourage companies to take on more debt, and its associated risk, in order to generate higher future revenues. Many companies have chosen to borrow money, but rather than investing in growth projects they have bought shares. They borrow money at 2-3%, then buy shares – which can have a much higher immediate impact on valuation – and drive up executive compensation. This has been wildly prevalent. Since the Fed started its low-interest policy it has added $2.37trillion in cash to the economy. Corporate buybacks have totaled $2.41trillion. This is why a company can actually have a crummy business, and look ill-positioned for the future, yet have growing EPS and stock price. For example, McDonald’s has gone through rounds of store closures since 2005, sold major assets, now has more stores closing than opening, and has its largest franchisees despondent over future prospects. Yet, the stock has tripled since 2005! Leadership has greatly weakened the company, put it into a growth stall (since 2012,) and yet its value has gone up! Microsoft has seen its “core” PC market shrink, had terrible new product launches of Vista and Windows 8, wholly failed to succeed with a successful mobile device, written off billions in failed acquisitions, and consistently lost money in its gaming division. Yet, in the last 10 years it has seen EPS grow and its share price double through the power of share buybacks from its enormous cash hoard and ability to grow debt. While it is undoubtedly true that 10 years ago Microsoft was far stronger, as a PC monopolist, than it is today – its value today is now higher. Share buybacks can go on for several years. Especially in big companies. But they add no value to a company, and if not exceeded by re-investments in growth markets they weaken the company. Long term a company’s value will relate to its ability to grow revenues, and real profits. If a company does not have a viable, competitive business model with real revenue growth prospects, it cannot survive. Look no further than HP, which has had massive buybacks but is today worth only what it was worth 10 years ago as it prepares to split. Or Sears Holdings which is now worth 15% of its value a decade ago. Short term manipulative actions can fool any investor, and actually artificially keep stock prices high, so make sure you understand the long-term revenue trends, and prospects, of any investment. Regardless of analyst recommendations. Results, results, results. We frequently hear that we should focus on results. More often than not, focusing on results is a waste of time. 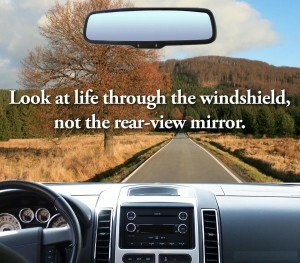 Because it is looking in the rear view mirror, rather than the windshield. Someone asked me today what I thought of Janet Yellen as head of the Federal Reserve. I found this hard to answer. Even though Chairperson Yellen has been in the job since February, her job as lead policy setter has almost no short term ramifications. It takes quarters – not months – to see the results of those policy decisions. Even after a year in office, it is very difficult to render an opinion on her performance as Fed leader. The fantastic 5% growth in the U.S. economy last quarter has much more to do with what happened before she took office – in fact years of policy setting before she took office – than what has happened since she became the top Fed governor. We often forget what the word “results” means. It is the outcome of previous decisions. Results tell us something about decisions that happened in the past. Sometimes, far into the past. We all can remember companies where looking backward all looked well, right up until the company fell off a cliff. Circuit City. Brachs Candy. Sun Microsystems. We too often forget that last quarter’s (or even last year’s) results are due to decisions made months before. Gloating, or apologizing, about those results has little meaning. Results, no matter how recent, are meaningless when looking forward. Decisions made long ago caused those results. “Results” are actually unimportant when investing for the future. What are the goals being set for next year – or better yet for 2020? What are the trends upon which goals are being set? How are future goals aligned to major trends? What are the future expected scenarios, and how are goals being set to align with those scenarios? Who will be the likely future competitors, and how are goals being set make sure we the organization is prepared to compete with the right companies? Far too often management will say “we just had great results. We plan to continue executing on our plans, and investors should expect similar future results.” But that makes no sense. The world is a fast changing place. Past results are absolutely not any indicator of future performance. For 2015, and beyond, investors (and employees, suppliers and communities sponsoring companies) should resolve to hold management far more accountable for its future goals, and the process used to set those goals. Amazon.com maintains a valuation far higher than its historical indicates it should primarily because it is excellent at communicating key trends it watches, future scenarios it expects and how the company plans to compete as it creates those future scenarios. In the 1981 Burt Reynolds’ movie “Cannonball Run” a character begins a trans-country auto race by ripping the rear view mirror from his car and throwing it out the window. “What’s behind me is not important” he proudly states. This should be the 2015 resolution of investors, and all leaders. Past results are not important. What matters are plans for the future, and future goals. Only by focusing on those can we succeed in creating growth and better results in the future. This week the people who decide what composes the Dow Jones Industrial Average booted off 3 companies and added 3 others. What's remarkable is how little most people cared! "The Dow," as it is often called, is intended to represent the core of America's economy. "As the Dow goes, so goes America" is the theory. It is one of the most watched indices of all markets, with many people tracking how much it goes up, or down, every trading day. So being a component of the DJIA is a pretty big deal. It's not a good day when you find out your company has been removed from the index. Because it is a very public statement that your company simply isn't all that important any more. Certainly not as important as it once was! Your relevance, once considered core to representing the economy, has dissipated. And, unfortunately, most companies that fall off the DJIA slip away into oblivion. I have a simple test. Do like Jay Leno, of Tonight Show fame, and simply ask a dozen college graduates that are between 26 and 31 about a company. If they know that company, and are positively influenced by it, you have relevancy. If they don't care about that company then the CEO and Board should take note, because it is an early indicator that the company may well have lost relevancy and is probably in more trouble than the leaders want to admit. Ask these folks about Alcoa (AA) and what do you imagine the typical response? "Alcoa?" It is a rare person under 40 who knows that Alcoa was once the king of aluminum — back when we wrapped food in "tin foil" and before we all drank sodas and beer from a can. To most, "Alcoa" is a random set of letters with no meaning – like Altria – rather than its origin as ALuminum COrporation of America. But, its not even the largest aluminum company any more. Alcoa is now 3rd. In a world where we live on smartphones and tablets, who really cares about a mining company that deals in commodities? Especially the third largest with no growth prospects? Speaking of smartphones, Hewlett Packard (HPQ) was recently considered a bellweather of the tech industry. An early innovator in test equipment, it was one of the original "Silicon Valley" companies. But its commitment to printers has left people caring little about the company's products, since everyone prints less and less as we read more and more off digital screens. Past-CEO Fiorina's huge investment in PCs by buying Compaq (which previously bought minicomputer maker DEC,) committed the rest of HP into what is now one of the fastest shrinking markets. And in PCs, HP doesn't even have any technology roots. HP is just an assembler, mostly offshore, as its products are all based on outsourced chip and software technology. What a few years ago was considered a leader in technology has become a company that the younger crowd identifies with technology products they rarely use, and never buy. And lacking any sort of exciting pipeline, nobody really cares about HP. Bank of America (BAC) was one of the 2 leaders in financial services when it entered the DJIA. It was a powerhouse in all things banking. But, as the mortgage market disintegrated B of A rapidly fell into trouble. It's shotgun wedding with Merrill Lynch to save the investment bank from failure made the B of A bigger, but not stronger. Now racked with concerns about any part of the institution having long-term success against larger, and better capitalized, banks in America and offshore has left B of A with a lot of branches, but no market leadership. What innovations B of A may have had in lending or derivatives are now considered headaches most people either don't understand, or largely despise. Any company can lose relevancy. Markets shift. There is risk incurred by focusing on the status quo (Status Quo Risk.) New technology, regulations, competitors, business practices — innovations of all sorts — enter the market daily. Being really good at something, in fact being the worlds BEST at something, does not insure success or longevity (despite the popularity of In Search of Excellence). When markets shift, and your company doesn't, you can find yourself without relevancy. And with a fast declining value. Whether you are iconic – or not. If you're frequently on the go, then your smartphone or tablet is a simple tool that can keep you connected to work from virtually anywhere. However, your device is hardly useful without the right apps; consider downloading these top useful apps for business people on the go. Dropbox is perhaps the best data storage app available for mobile devices, and with over 50 million downloads, it's one of the most popular on the market. Using this app, users can access documents anywhere and from any device, similar to Apple’s iCloud. Use 2GB of free storage or upgrade to 16GB per account. Don’t worry about the security of important documents as this app features permission settings, account access information and a two-step verification process. You can store any file on Dropbox that you can store on your computer, making it convenient for any type of work. It's also easy to get extra space by recruiting friends and coworkers to sign up for this app as well. Flipboard is a simple personalized news app that keeps you on top of the latest stories. With more than 10 million downloads, it's a popular app rated at 4.5 out of 5 stars on the PlayStore. What makes Flipboard so great is that users can choose which topics the app should show, and then users can post their favorite stories in a "personal magazine" which can share these magazines on social media sites. With a syncing feature, users can access the news topics on any device. Expensify is a wonderful app for business people who travel frequently, consistently earning the number one spot on lists of the best apps for business travelers. Expensify allows users to track expenses, log mileage, upload receipts with their device's camera, file expense reports and perform various other functions to make organizing business travel simple. Use this app on an iPhone, iPad, Android device, WebOS, or Blackberry device – and download it for free. With a quality video chat app, you can easily stay in touch with colleagues and business partners no matter where you are. Available on PC, Android, and Apple devices, the Google Hangouts app is easily accessible, making it simple to talk with other business people while users are out and about. It's free to use, allows multiple simultaneous conversations and with the right Internet provider users can collaborate with coworkers even if their offices are in a rural area. Google Hangouts downside is the user base is still small. If you're a business person who travels often, TripIt is a must-have app. TripIt links to a user's email account and automatically picks up trip confirmation numbers for any hotel, flight, or dinner reservation then organizes it into a simple itinerary. If users encounter last-minute changes or flight delays notified via email, the app automatically updates the itinerary. Whether you travel often or just need to stay connected when you're away from work, these apps are excellent ways to make your life a bit easier. This blog was written as a guest blog by Peyton Spencer. I appreciate her insights into apps that can make all of our lives easier. Peyton Spencer is a graduate of Concordia University in Saint Paul. She studied Communication with an emphasis on marketing and journalism. Her writing is featured on reputable blogs such as Dom's Tech Blog and now The Phoenix Principle . In her spare time, Peyton loves experimenting with the newest technology, helping small businesses market their brand, and volunteering for non-profit organizations that are close to her heart such as Locks of Love, The Humane Society and Samaritan's Purse. Economically, is Obama America’s Greatest Modern President? upturn, and improved economic prospects, to the President as we enter his second term. Obama for today’s improved equity values? was a clear pattern, and link, between policy and financial market performance. significant credit for how well this economy has done during his leadership. has been painful but it has re-instated faith amongst investors. The markets are far more predictable than they were four years ago, as VIX numbers demonstrate greater faith and less risk. 24% since the lows of March, 2009.
prior winners in our book. toward achieving today’s new highs? only by the Great Depression,) and hence the term “Great Recession” was born. Consumer Confidence Index was at a record high 140.
but it is almost 3 times better than 4 years ago. were on the edge of failing due to unregulated real estate speculation and massive derivative losses. Today the Congressional Budget Office is reporting a $200B decrease in the deficit almost entirely due to increased revenue from a growing economy and higher taxes on the wealthiest Americans. The deficit is now only 4% of the GDP, down from over 10% at the end of Bush's administration – and projections are for it to be only 2% by 2015 (before Obama leaves office.) America's "debt problem" seems largely solved, and almost all due to growth rather than austerity. We can largely thank a fairer tax code, improved regulation and consistent SEC enforcement. Also, major strides in health care reform – something no other President has accomplished – has given American's more faith in their future, and an increased willingness to invest. economic performance was superb. Even though Obama's performance is better. demographic years of the Baby Boomer generation. creating economic growth monumentally harder than it was 30 years ago. that this dramatic defense and infrastructure (highways, etc.) stimulus had more to do with igniting economic growth. Reagan's spending looked far more like FDR than Herbert Hoover! Ronald Reagan tripled the national debt during his tenure, creating what today's Congressional austerity advocates might have called "a legacy of unpayable debt for our grandchildren.” But, as we saw, later growth (during Clinton) resolved that debt and created a budget surplus by 2000.
growth and plunge the country back into recession. Do you agree? the future will not be true. One leading indicator of the benefits of ACA might be the performance of healthcare and biotech stocks, which are up 20-30% and leaders in the current market rally. greater returns for investors during the second term? BBBB- Obama needs to make the cornerstone of his second term creating new job growth. That was the primary platform of his candidacy, and it is a platform long successful for the Democratic party. If President Obama can do this and govern effectively, this could be his real legacy. Are American’s Abusing Social Security Disability? Does anyone remember the 1990s? Economic growth was robust, the stock market was exploding and unemployment was low. Even though outsourcing was just emerging as a new business practice, there were more jobs than employees in America, and the Federal Reserve Board Chairman worried about "irrational exuberance." If you had a degree you had a job, and you had a car (or 2) and a house as you awaited ever rising income and asset values. Oh my, how times have changed. A third of U.S. homes are worth less than the mortgage, auto sales fell off a cliff as GM and Chrysler filed bankruptcy, trust in banks has disappeared, savers earn nearly 0% yet investors shun stocks and laugh at declining values of IPOs. And unemployment remains stubbornly stuck just below double digits as job growth remains anemic, despite reduced outsourcing and rising oversees costs. So how do Americans react to limited economic growth? Apparently, increasingly, by feigning disabilities in order to create their own form of social welfare net similar to Europe. Regardless of what Americans say, it is important to look at what they do. Working conditions in the United States are getting downright dangerous if the Social Security disability statistics are any indication. The number of Americans collecting disability is rising at an unprecedented and alarming rate. This belies Bureau of Labor Statistics data that tells the story of workplace safety that is constantly improving. Everyone knows that injury incidence rates have been in secular decline since, well, always. In 2010, there were 3.5 total recordable cases of non-fatal occupational injury and illness per 100 full-time workers, down from 5.0 less than a decade ago. In 1973 the rate was 11 per 100. The net decline amounts to a 3.7 percent reduction in these hazards every year for four decades. Of course, not all injuries and illness are work related. Then again, is there any aspect of our lives that has not become safer in the last two generations? 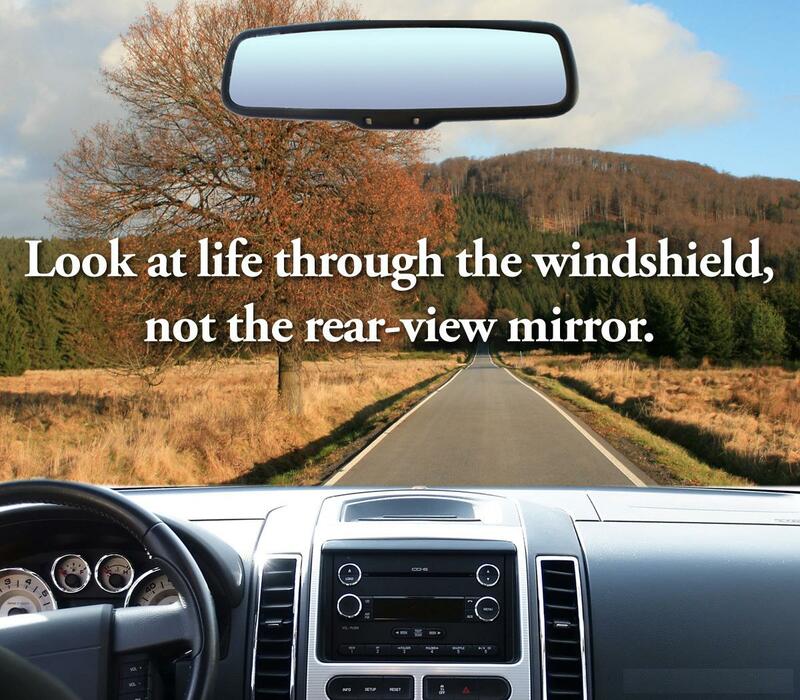 For example, auto injuries are always a factor. But those risks have collapsed with the advent of airbags, anti-lock brakes and other technological breakthroughs. • Your medical condition(s) must have lasted, or be expected to last at least 1 year, or be expected to result in your death. Quizzically, from 1980 to 2002 there was no change in the percentage of the workforce claiming disability, yet the “disability participation rate” has embarked on a 4.5 percent ascent each year for the last decade. There is now 1 person collecting disability for every 12 in the workforce. There are people out there that truly want to work but are too sick or injured to do so. Sadly, many are unfortunately being branded with a stigma because of the legions that are out there gaming the system. That is the only way we can explain how almost as many people collect disability (10.8 million) as there are working in the entirety of manufacturing (12 million). It is plain to see that permanently stagnant labor markets are making Social Security disability the new unemployment benefit. The impact of America's "no growth decade" from 2000-2010 is clearly impacting America. I want to thank Jack for his analysis. I urge your to sign up for Jack's newsletter, full of insight about the economy, interest rates, investing and jobs by contacting him at jack.ablin@harrisbank.com. Jack is a graduate of Vassar and has his MBA from Boston University. He is a CFA and frequent contributor to CNBC, Bloomberg, Barron's and The Wall Street Journal. "Too Add Value Through IT, Pick Up the Ball" headlines my latest article published by IDG group. For years IT leaders thought their job was to "keep the joint running." Today, that's insufficient. Nobody can avoid being part of the growth agenda if they are to be a successful leader or manager. To drive success, and keep their jobs, IT leaders now have to move beyond simply being defensive. Keeping the systems running, and cutting operating costs, is not enough to be a great CIO. Too many have ended up outsourcing almost everything in order to lower costs, only to discover that IT becomes far too rigid and unable to support market needs when so many services are outsourced to third parties. Today's CIO has to spend more time figuring out how to flexibly, adaptively, bring new solutions to both insiders and customers. It's important CIOs not just track historical (and accounting) data, but behave like the offensive team, identifying and tracking considerably more market-based data. And creating various future scenarios to help the company spot trends and opportunities. On top of this, IT must demonstrate how using emerging solutions – from Salesforce.com to Groupon, Foursquare and Facebook (examples) – can reach more customers, faster – driving higher revenues. Additionally, read my latest article on effective strategic planning – for IT or any part of the organization – published by the Strategic Planning Society of the UK "Disrupting the Marketplace". This article describes how to add maximum value, growing revenue, cash flow and profits, by identifying and implementing opportunities to disrupt the marketplace. And allowing those disruptions to invade your own organization for more dynamism. Never be desperate. Go to where the growth is, and where you can make money. Don’t chase any business, chase the business where you can profitably growth. Be somewhat selective. Focus efforts on markets you know best. I add that it’s important you understand not to do just what you like, but learn to do what customers VALUE. Let go of crap, traditions and “playing it safe” actions. Growth is all about learning to do what the market wants, not trying to protect the past – whether processes, products or even customers. More lemonade making. You can’t grow unless you’re willing to learn from everything around you. We constantly find ourselves holding lemons, but those who prosper don’t give up – they look for how to turn those into desirable lemonade. What is your willingness to learn from the market? Austerity measures are counterproductive 99% of the time. Efficiency is the biggest obstacle to innovation. You don’t have to be a spendthrift to succeed, but you can’t be a miser investing in only the things you know, and have done before. Communicate, communicate, communicate. We don’t learn if we don’t share. Developing insight from the environment happens when all inputs are shared, and lots of people contribute to the process. Get off the downbeat buss. There’s more to success than the power of positive thinking, but it is very hard to gain insight and push innovation when you’re a pessimist. Growth is an opportunity to learn, and do exciting things. That should be a positive for everybody – except the status quo police. Realizing that you can’t beat the cost-cutting horse forever (in fact, most are about ready for the proverbial glue factory), it’s time to realize that businesses have been under-investing in innovation for the last decade. While GM, Circuit City, Blockbuster, Silicon Graphics and Sun Microsystems have been failing, Apple, Google, Cisco, Netflix, Facebook and Twitter have maintained double-digit growth! Those who keep innovating realize that markets aren’t dead, they’re just shifting! Growth is there for businesses who are willing to innovate new solutions that attract customers and their dollars! For every dead DVD store there’s somebody making money streaming downloads. Businesses simply have to work harder at innovating. Associate. Work harder at trying to “connect the dots.” Pick up on weak signals, before others, and build scenarios to help understand the impact of these signals as they become stronger. For example, 24x7WallStreet.com clues us in that greater use of mobile devices will wipe out some businesses in “The Ten Businesses The Smartphone Has Destroyed.” But for each of these (and hundreds others over the next few years) there will be a large number of new business opportunities emerging. Just look at the efforts of Foursquare and Groupon and the direction those growth businesses are headed. Observe. Pay attention to what’s happening in the world, and think about what it means for your (and every other) business. $100/barrel oil has an impact; what opportunity does it create? Declining network TV watching has an impact – how will you leverage this shift? Don’t just wander through the market, and reacting. Figure out what’s happening and learn to recognize the signs of growth opportunities. Use market events to drive being proactive. Experiment. If you don’t have White Space teams trying figure out new business models, how will you be a future winner? Nobody “lucks” into a growth market. It takes lots of trial and learning – and that means the willingness to experiment. A lot. Plan on experimenting. Invest in it. And then plan on the positive results. Question. Keep asking “why” until the market participants are so tired they throw you out of the room. Then, invent scenarios and ask “why not” until they throw you out again. Markets won’t tell you what the next big thing is, but if you ask a lot of questions your scenarios about the future will be a whole lot better – and your experimentation will be significantly more productive. Network. You can’t cast your net too wide in the effort to obtain multiple points of view. Nothing is narrower than our own convictions. Only by actively soliciting input from wide-ranging sources can you develop alternative solutions that have higher value. We become so comfortable talking to the same people, inside our companies and outside, that we don’t realize how we start hearing only reinforcement for our biases. Develop, and expand, your network as fast as possible. Oil and water may be hard to mix, but it blending inputs creates a good salad dressing. ChiefExecutive.net headlined “2010 CEO Wealth Creation Index Shows a Few Surprises.” Who creates wealth? Included in thte Top 10 list are the CEOs of Priceline.com, Apple, Amazon, Colgate-Palmolive and DeVry. These CEOs are driving industry innovation, and through that growth. This has produced above-average cash flow, and higher valuations for their shareholders. As well as more, and better quality jobs for employees. Meanwhile suppliers are in a position to offer their own insights for ways to grow, rather than constantly battling price discussions. Who destroys wealth? In the Top 10 list are the CEOs of Dean Foods, Kraft, Computer Sciences (CSC) and Washington Post. These companies have long eschewed innovation. None have introduced any important innovations for over a decade. Their efforts to defend & extend old practices has hurt revenue growth, providing ample opportunity for competitors to enter their markets and drive down margins through price wars. Penny-pinching has not improved returns as revenues faltered, and investors have watched value languish. Employees are constantly in turmoil, wondering what future opportunities may ever exist. Suppliers never discuss anything but price. These are not fun companies to work in, or with, and have not produced jobs to grow our economy. Any company can grow in 2011. Will you? If you choose to keep doing what you’ve always done – well you shouldn’t plan on improved performance. On the other hand, embracing market shifts and creating an adaptive organization that identifies and launches innovation could well make you into a big winner. Next holiday season when you look at performance results for 2011 they will have more to do with management’s decisions about how to manage than any other factor. Any company can grow, if it does the right things.